I’m not quite sure how long it has been since I attended a county fair, but I’m pretty sure it has been about 20 years. 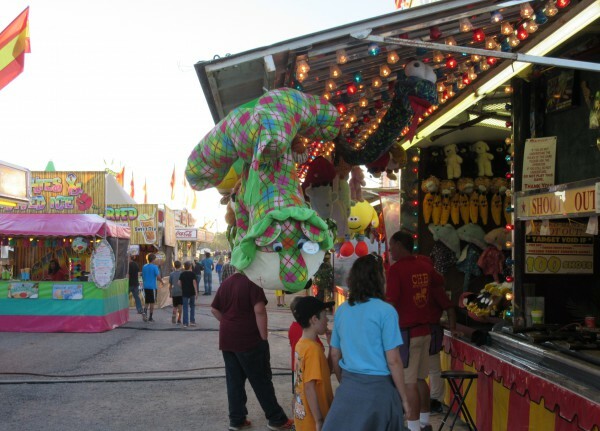 This week is Hardin County, Tennessee’s County Fair, and Jim and I checked it out last night. 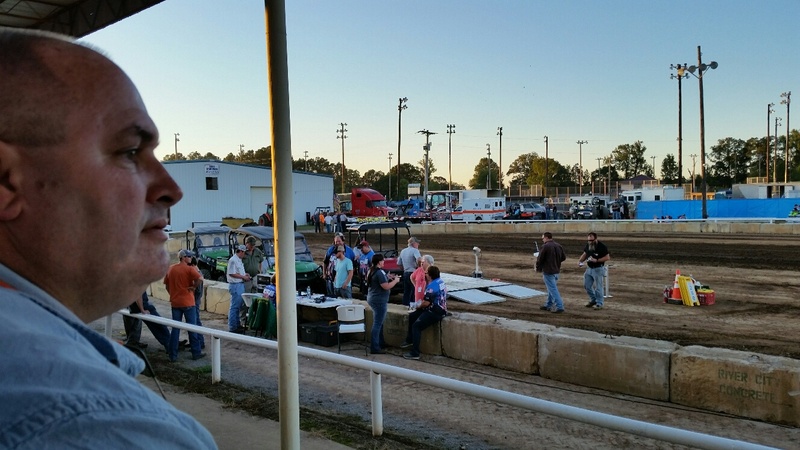 Though a Monday night, the fairgrounds were busy, but it was not so packed that we couldn’t move around. 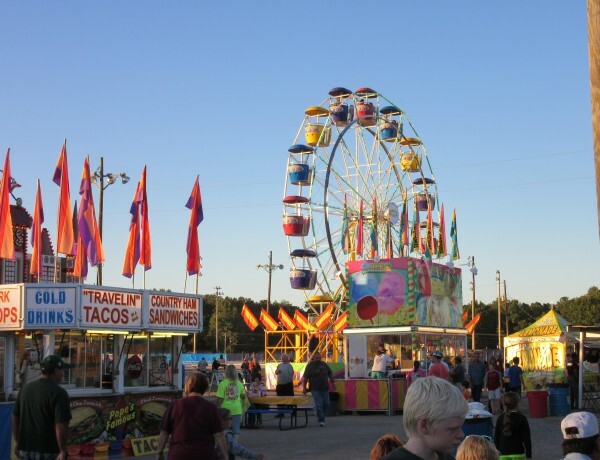 After paying our $10 per person entry fee, which covers all rides and special events inside the fairgrounds, we wandered around looking for something to eat, eventually deciding to patronize the food service of The United Methodist churches. After downing burgers, chips, and drinks, he and I meandered around looking at the rides, games, food vendors, etc. 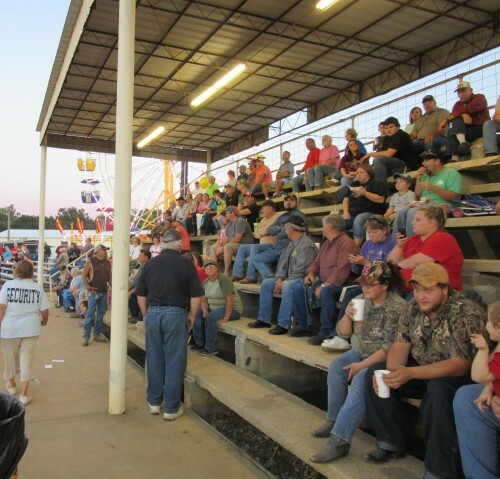 About 20 minutes before 7:00 p.m., we made our way to the grand stands for the tractor and truck pulling competitions, which were to begin at 7:00. He and I enjoyed what we were able to watch, which was about 80% of the tractor pull classes, but due to the fact that the event started a full hour later than advertised, we had to leave before seeing the trucks as Jim had work to do last night. Quite frankly, the whole competition was an unorganized mess, and the MC was totally unprepared though a nice guy. It would have been great had the track been prepared for the competition and the competitors meeting held prior to 7:00 p.m., so the even could start on time. It also would have been nice if the MC had info about each of the competitors (such as name, city of origin, day-time vocation, family, whatever) to share with the crowd while the track was prepped for the next run. Still, it was a fun night. 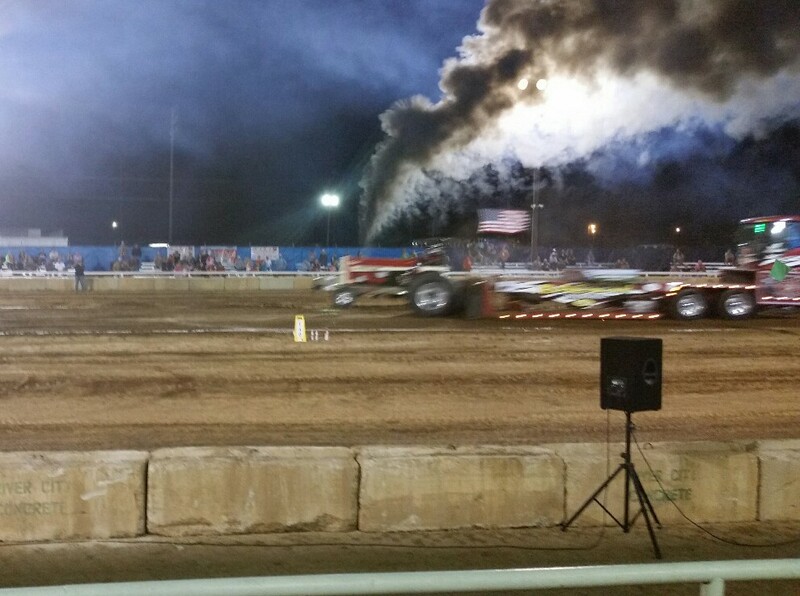 Neither Jim nor I can remember the last tractor pull we’ve watched. 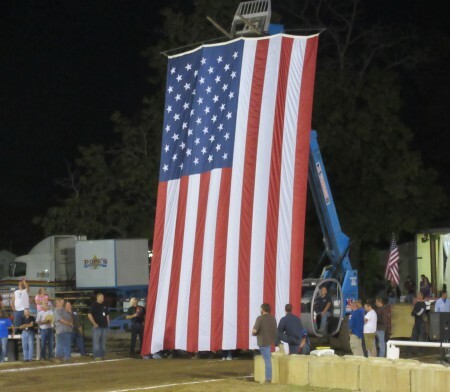 When the opening ceremonies finally took place at 8:00 p.m. (more or less), there was a really nice tribute to our military and law enforcement personnel prior to a prayer, the presentation of the flag, and the national anthem. While we watched, Jim had some Nachos, and he and I shared a Funnel Cake. 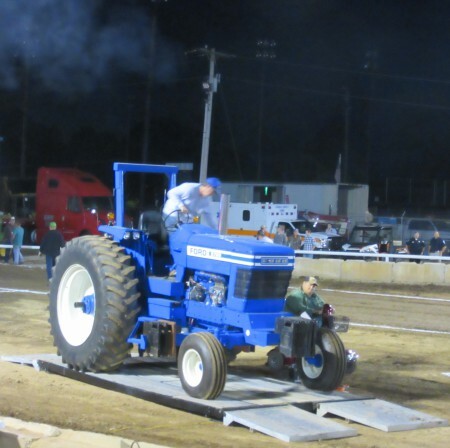 The competition had multiple classes of tractors, based on weight, and to the best of my knowledge, only one female tractor driver was in the competition. 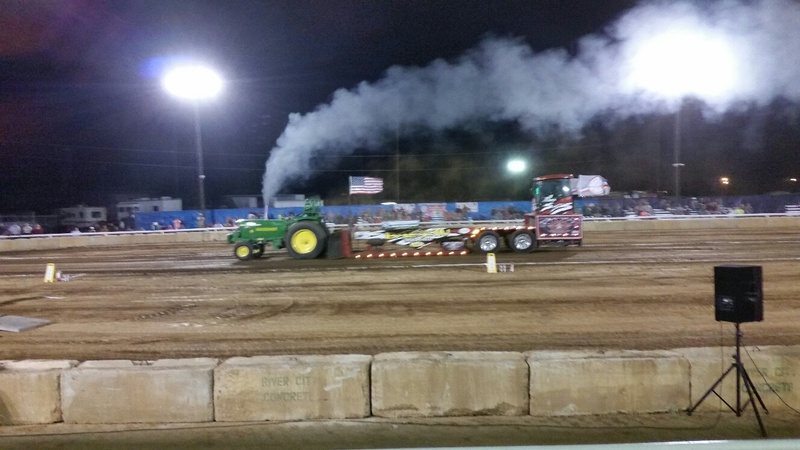 She was driving a Ford in the 13,000 lb class, and she won. Her tractor made a “fart,fart,fart” sound as it idled, but Jim said that it was really saying “Ford, Ford, Ford. 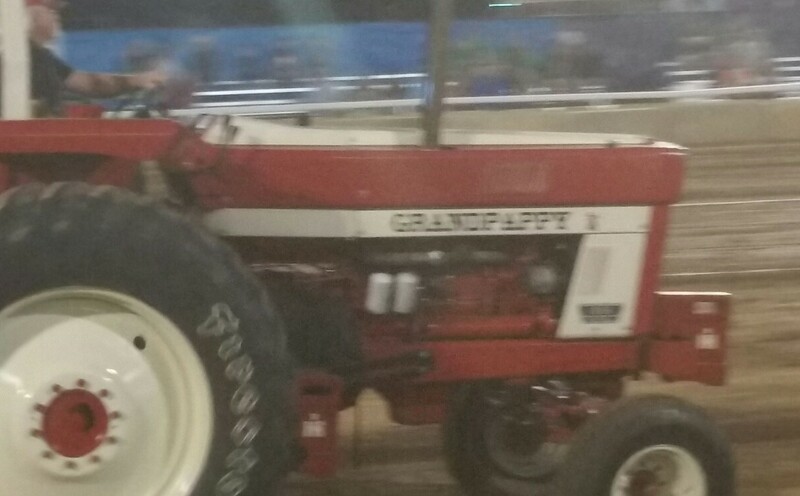 In one class, it came down to a father or son winning the class, and the son slammed his father’s pull record with a tractor named “Satisfaction.” Jim liked the tractor named “Grandpappy” because it reminded him of his grandfather’s tractor.